The business of telling the Jack the Ripper tale on a nightly basis is no straightforward task. Other London tales sit still, remain constant. Jack is fluid. Much of the "new" information that comes in on this case with such regularity can be discarded pretty quickly. But when Alan Moore, one of the great storytellers of our age weighs-in, it's time to sit up and take notice. The problem in giving a critical assessment of this comic book is essentially the same problem as that which Moore himself faced back in 1988 when he first conceived the project: what can be said about this subject that hasn't been said before? Moore found a new angle on the famous Whitechapel murders by taking an holistic rather than forensic approach – looking at Victorian society from top-to-bottom to better assess the causes of such a barbaric episode in British history. His greatest achievement is that it's difficult to imagine, in 2015, approaching the case in any other way. 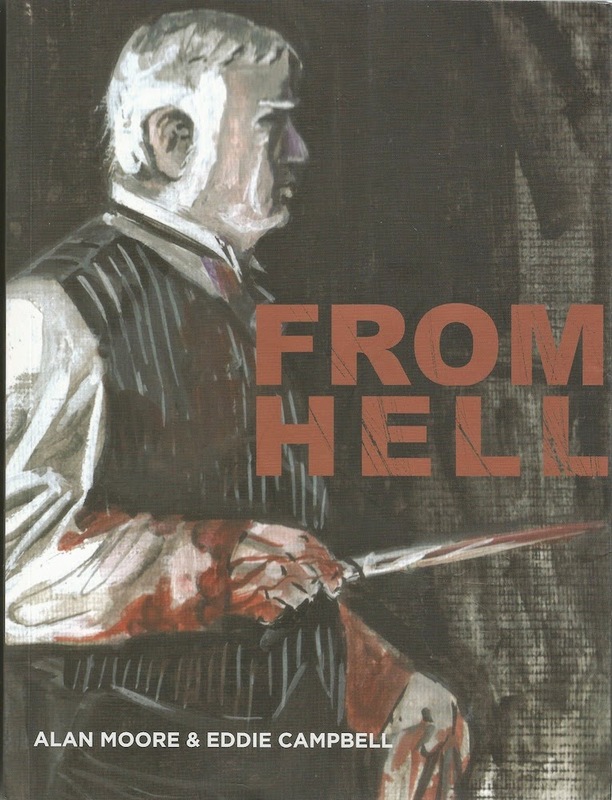 From Hell is often held up as the graphic novel that changed the world of illustrated fiction forever. But it is also the analysis that changed the face of this notorious case for all time. So how to recommend this comic without recourse to those dread words "iconic" and "game-changing"? "I should take this opportunity to point out that From Hell has, if anything, been more thoroughly researched visually than it has in terms of content." Chapter Four of From Hell is simply one of the most thrilling things I have ever read on London. 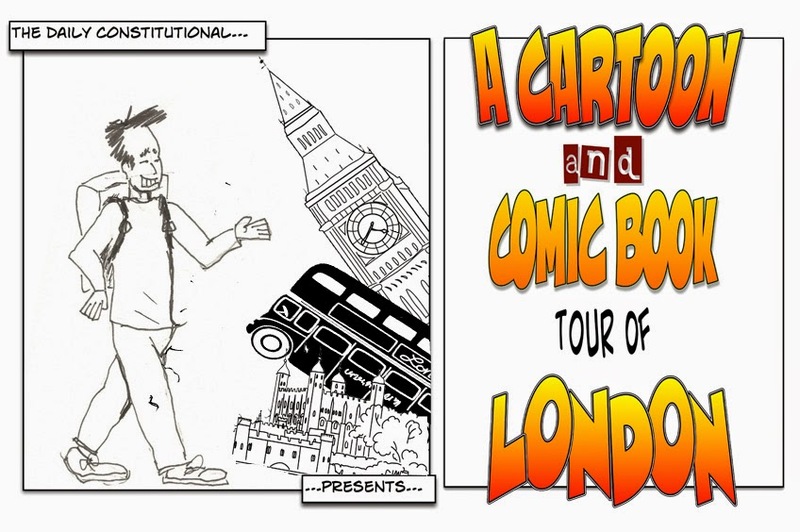 With the case set up, the characters, the social background all in the mix, Moore has Sir William Gull – Physician-in-Ordinary to Queen Victoria – take us on a tour of London – quite literally a guided tour. In terms of narrative, this is where the plate-spinning job becomes a superhuman effort with Masonic lore, ancient myth, legend, literature and political comment all entering the fray. It's breathless stuff, essentially a monologue from Gull, all hurtling along like a Russell Brand prose poem. It is as we criss-cross the metropolis that artist Eddie Campbell really comes into his own. His dark, often scratchy style has to this point been employed to perfectly fashion the unspeakable hell of Victorian Whitechapel. But when Campbell lifts our gaze to the obelisks, columns, spires and domes of the city (particularly in the Nicholas Hawksmoor churches), from Earl's Court to the Isle of Dogs, he combines the eye of a master draughtsman with the showmanship of some operatic ringmaster. It is the way that Moore and Campbell work together that makes From Hell the landmark work that it is. Both men are riveting storytellers in their fields, with a seemingly innate ability to know when the drama needs reining, and when to use the whip. "Suffice to say that any adequate appendix listing Eddie's sources in the way that I am listing mine would be twice as long as this current monstrosity, which in itself looks set to end up twice as long as the work to which it refers."